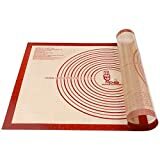 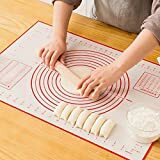 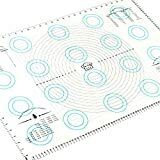 The cool new FrostyMat is an innovative chilled pastry mat that lets you roll, knead, and measure dough without the sticky mess. 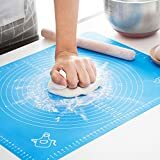 This non-stick silicone mat features freezable cooling gel pockets to prevent stickage, a convenient groove for resting the rolling pin or some eggs, and handy measurments printed on the surface. 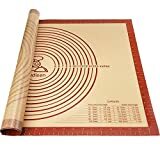 When finished, it easily rolls up and stores in the freezer until needed.